When holidaying in any country or town it’s always interesting to find out more about the history of the place or the people who have lived there. Also to get an overall feeling for the culture of the area. What you really need for this is a cultural centre. 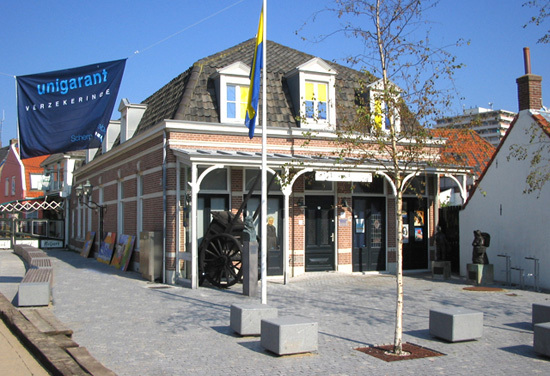 The Cultureel Centrum (Cultural Centre) in Zandvoort is a charming old building built on the site of the old mannen en vrouwengasthuis in Gasthuisplein. This is where you can find out most of what you need to know about the history of zandvoort and also the art associated with the town. Zandvoort’s art Heritage, can also be explored in the museum’s own picture gallery. There are many exhibitions on show at various times featuring contemporary art. If this is of particular interest to you then you will find a list of the museum’s current as well as scheduled exhibitions, workshops and lectures on the museum’s own website. There are also video presentations to fascinate and entertain the visitor. The cultural centre museum is also equipped to cater for disabled visitors with wheelchairs and the staff are multilingual. Generally they are able to converse in English, German and of course Dutch. From Wednesday to Sunday from 1 pm untill 5 pm. the Cultural Centre is closed on the following dates: January 1, April 26, December 25, 26 and 31.